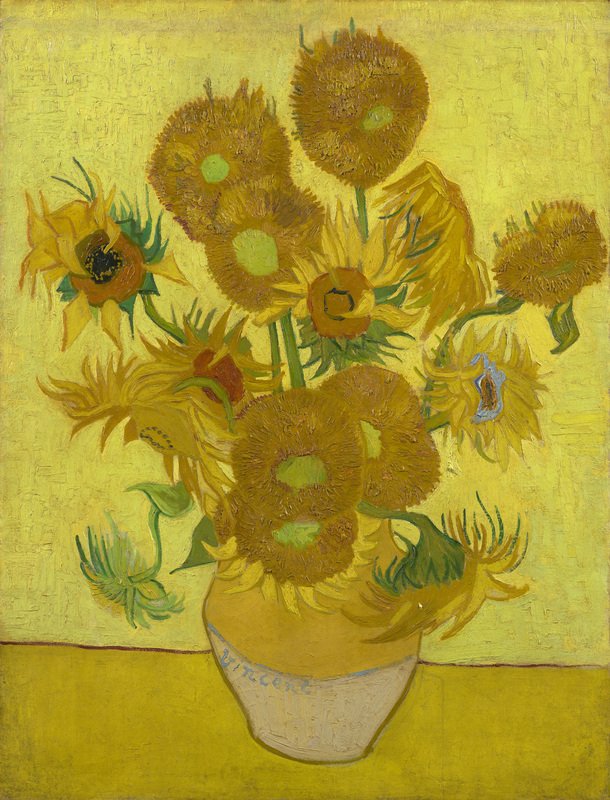 The lyric “side by side” is a literal description of what you will encounter when you visit this “must see” exhibition of these two Sunflower paintings. They have an emotional resonance which you need to experience first hand. Much has and will be written about them and I will not add anything here; the storyboards in the gallery tell you all you need to know and I will not spoil it. A final thought! What if they were for sale and you could afford one of them? Which would you choose? Over to you! 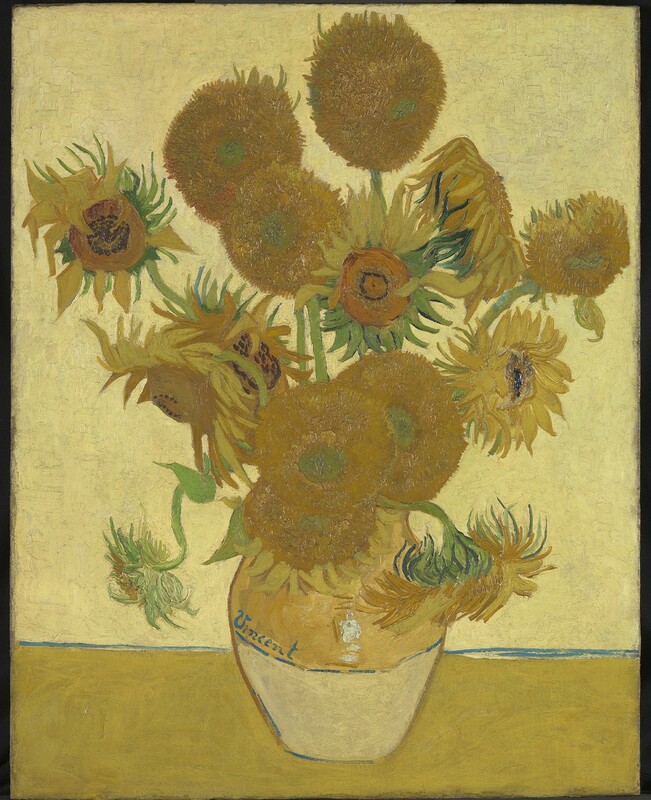 This entry was posted in Impressionist Paintings, Visual Arts and tagged National Gallery. ..hope according to Van Gogh’s letters, otherwise one can put there any letter.. it was guess considering the realy bad internet picture quality.. The two galleries are in no doubt about it. The image came from the National Gallery. ..if there is ‘no doubt’, I would still choose the 1889 painting and pay more!